One of my favorite holidays is St.Patrick’s Day! I love the green and the shamrocks and everything that goes with it. I don’t have that much Irish in me but I see it as everyone can be Irish on St. Patrick’s Day! 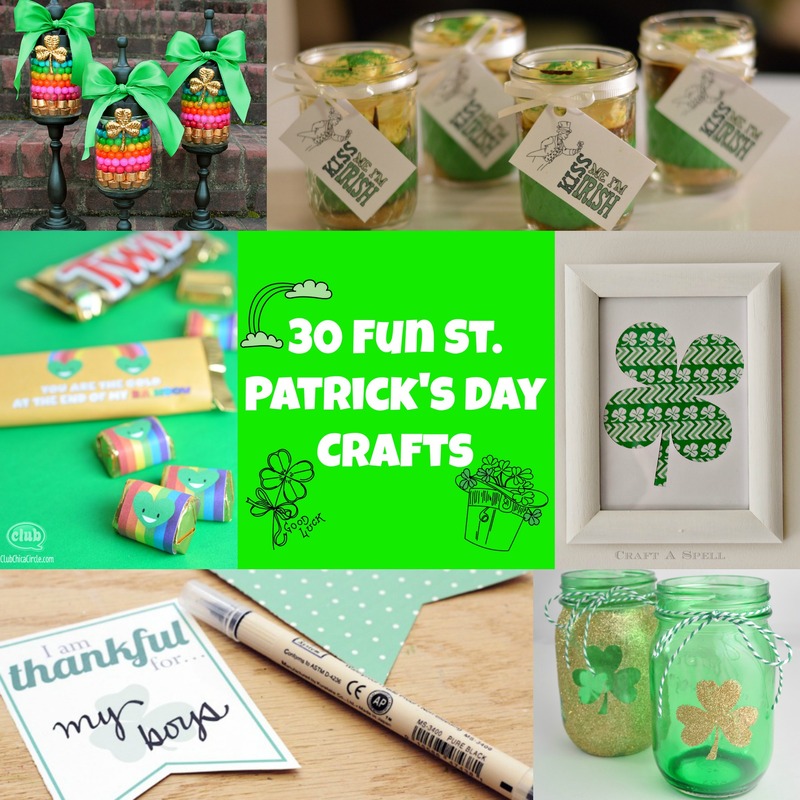 I also love doing crafts more than anything so this year I decided to find 30 Fun St. Patrick’s Day Crafts that I would like to do! I know I don’t have time for all of them but they just make me happy! If you’ve missed some of our projects here at Craft Dictator check them out! That shamrock tree is the cutest thing! Actually there are a TON of cute things here. So many great crafts! Awesome! I’m trying to teach my son about all the holidays this year, and I was struggling with what to do for St. Patrick’s Day. Now the question is what NOT to do! 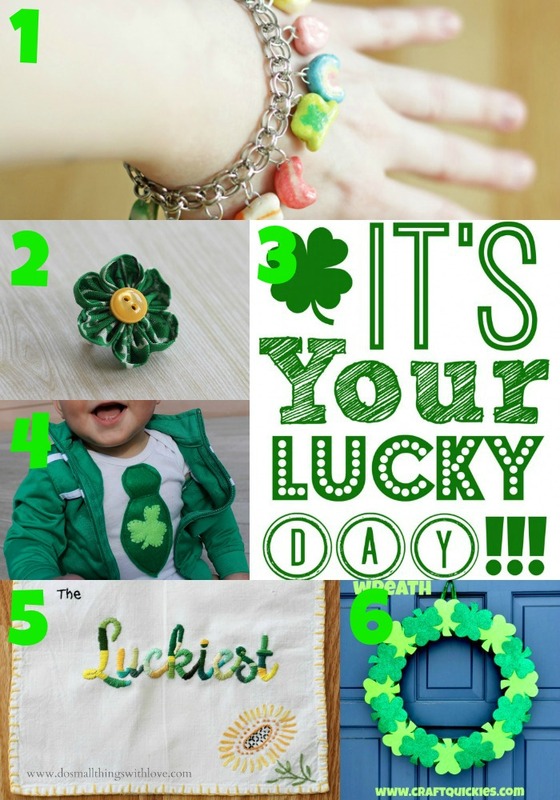 cute ideas, love the Lucky Charm bracelet! They all look amazing, but I really like the Key Lime Pie in a jar. Thanks for sharing. Key Lime Pie in a Jar? Love that idea, and not just for St. Patty’s Day! So many great ideas. Love the satin shamrock headband for my daughter. 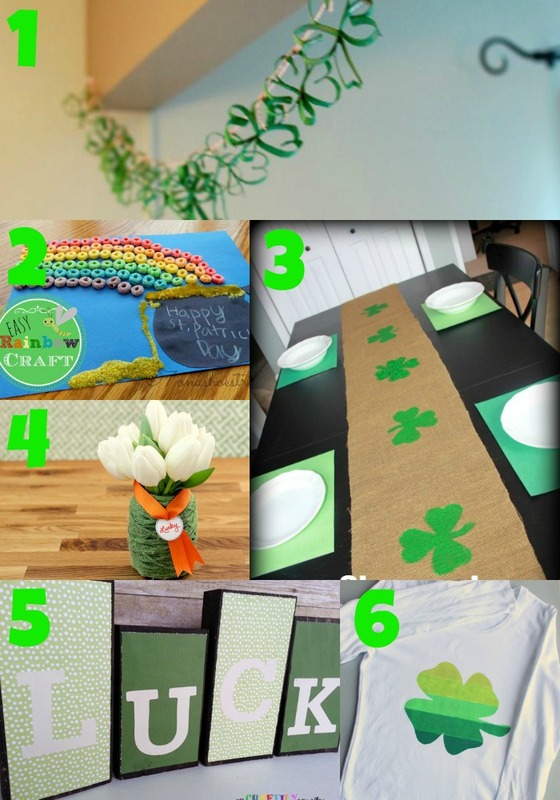 What a great bunch of St. Patty’s Day crafts! I really love the Mason Jars! I’m pretty Irish…My great x3 grandfather was Timothy McSweeney, right off the boat! LOL…but, like you said, everybody is Irish on St. Pats! 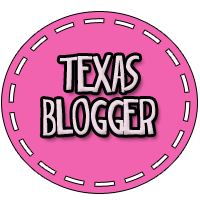 Jessica Harlow recently posted…Enter to Win an #iparenttv Subscription! They all look like they would be so much fun to make and to show around! I cannot believe that its March and we are talking about St. Patricks Day. 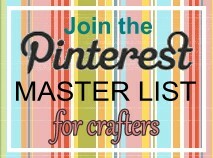 This is a great collection of craft ideas! I especially love the Shamrock Tree. We are always looking for fun crafts to do for the holidays. These are definitely going on my list! Thanks! Oh gosh, I just love those little leprechaun hats made from styro cups! Adorable! I am looking for some fun new crafts to do with my kids for the holiday! Such cute ideas! Love the rainbow jar. I love the shamrock baby “tie” and the Shamrock Tree on Canvas! So many really creative and fun ideas! K Squared Glamour recently posted…8 Tempting Pieces in Dazzling Blue, Spring’s Hottest Hue! omg the rainbow crochet wreath w a pot of gold. that’s adorable! So many fun and cute ideas! Can’t wait to try some of these out! Everyone’s Irish on St. Patrick’s Day! So many cute crafts here, and I will take any excuse to eat key lime pie in a jar! Such Great Craft Ideas Will Have To Do Some With The Kids!! lisa jones recently posted…Wonka Candy Bags Only $1.00 At Walgreens Starting 3/9! TOO Much COTE CRAFTS!!! I am going crazy over here now I want that lucky charms bracelet so bad!! jenny at dapperhouse recently posted…Why Adopt an Older Adult Pet from a Shelter? cute . . . not cote. 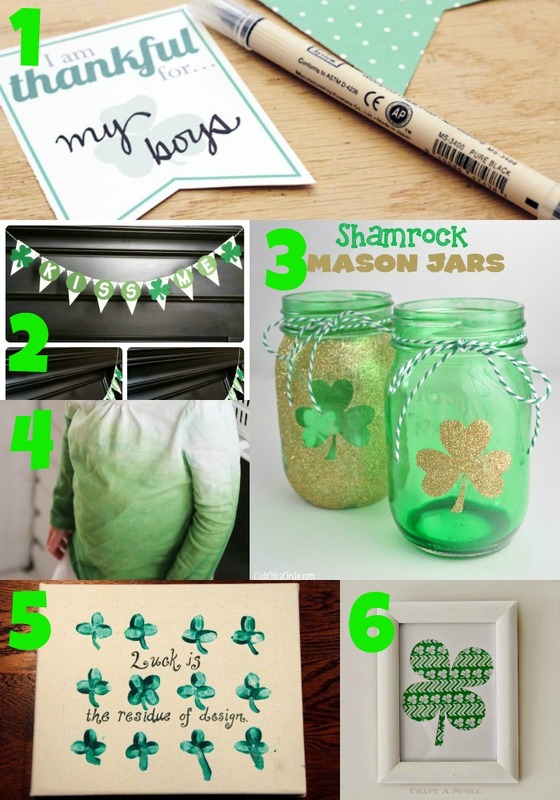 i love the shamrock mason jars! Wow! So many great ideas! Don’t even know where to start! Thank you so much for sharing them! These are all fabulous ideas! I’m sure my daughter would love the Lucky Charms bracelet craft; It’s too cute! Trisha recently posted…Your Kids Will Love Rabbids Invasion Toys Coming Spring 2014! Thanks for these great ideas! We will make some of them this month! 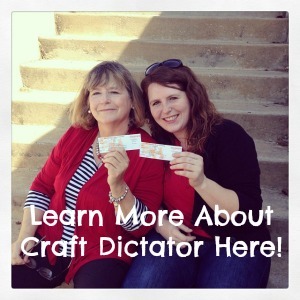 You really are the craft dictator! These are such awesome ideas! I’ve pinned these! So awesome! Oh my! What an extensive list!! I see a couple that would be adorable for me to use to decorate and one or two my daughter would like to do with me. Too many ideas! I don’t know where to start! My kids are driving me batty to make something for St. Pat’s Day. I sure know where to start! 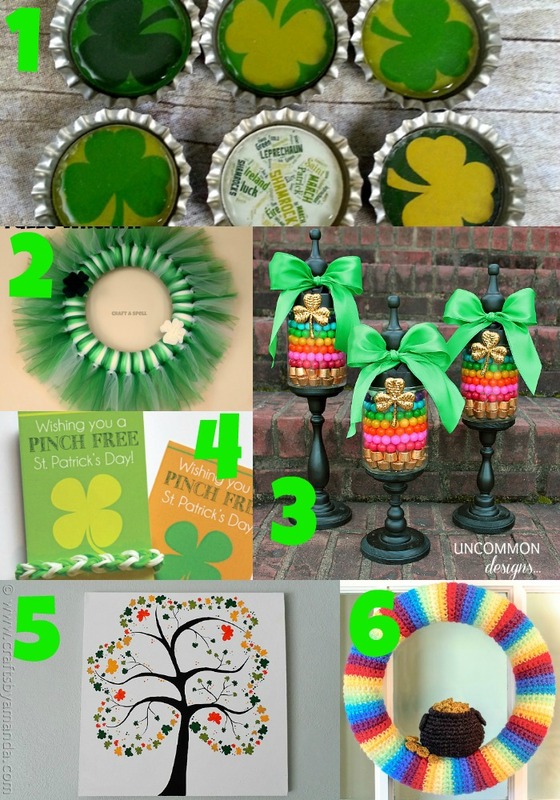 I LOVE all things St. Patrick’s day- and crafts, too! thanks so much! So many great ideas! Those look like fun activities to do! My kids would love these. A fantastic list of ideas. Love it. Glad to see this, I was just thinking about finding some fun things to do for St. P’s day… wasn’t sure what though. These are really awesome craft ideas! love that paper chain !!! Such a great idea ! These crafts look amazing! I don’t think we’re going to be able to celebrate this year, because we’re out of town and staying in a hotel. All of my craft supplies are at home, but hopefully I can find something simple and inexpensive to make with my toddler. I’d like to make that lucky clover wreath with my kids. Guess I’ll happily pin that one. I never really do anything for St. Patrick’s Day. A couple of years ago I painted my nails green for the occasion, but that was it. 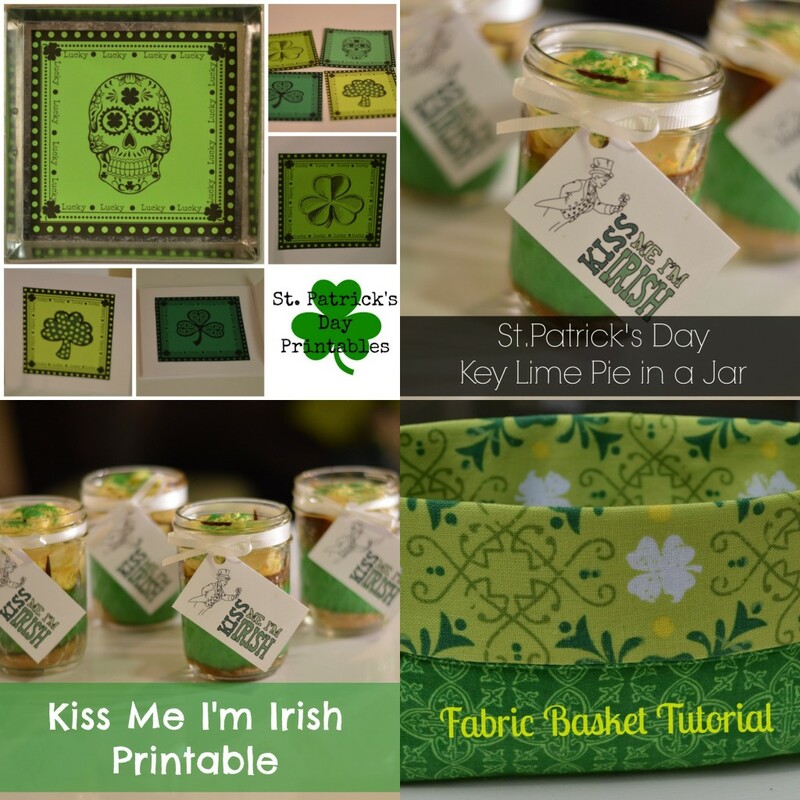 After seeing all the cool things you’ve gathered together here, I’m thinking I need to do a little something for St. Patrick’s Day, and I need to start with those Key Lime Pie in a jar! Wow, they are all so incredibly cool! I’ll use them as an inspiration for the Easter decoration I plan to do with my little girl. I love the mason jar craft! I am such a sucker for a cute mason jar!! Amy Desrosiers recently posted…Life Moments Shopping Planner for New Moms-Loaded with Coupon Savings! 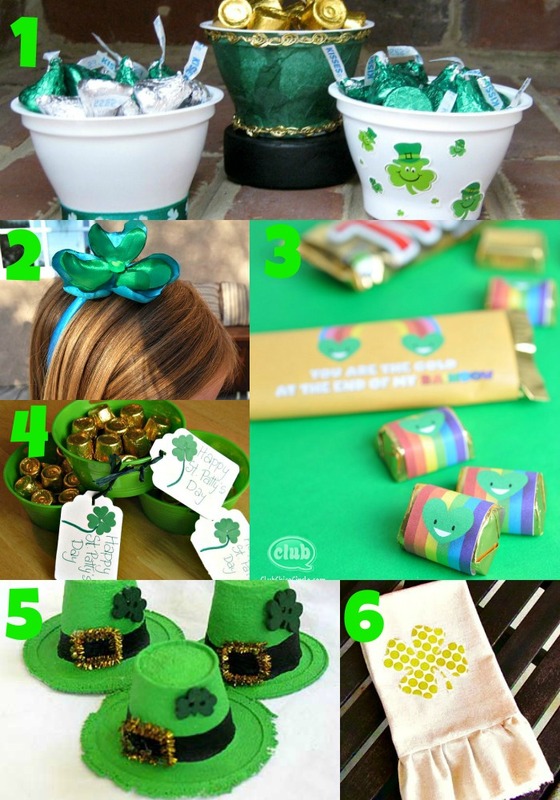 These are all great craft ideas for st. Patties day!!! Wish I had time to actually try some!! You’ve got some seriously adorable St. Patrick’s Day crafts there! Kassondra from Motherhood Community recently posted…Win A Freemie Electric Freedom Pump!